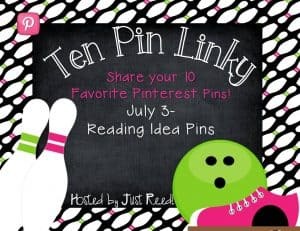 I am joining up with Just Reed again for another Ten Pin Linky. This week I am listing my ten favorite reading pins on Pinterest. 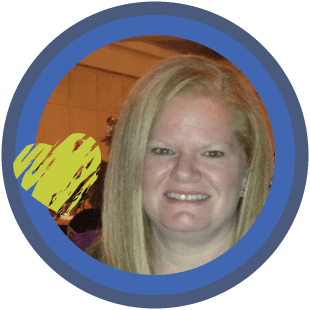 Reading is my favorite think to teach so I have a lot of pins that deal with reading. Hopefully I can narrow it down to ten. #1. 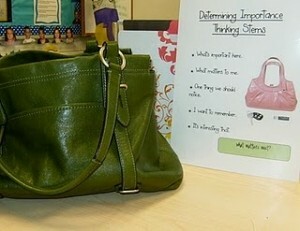 Determining Importance – I have done this activity and love it. 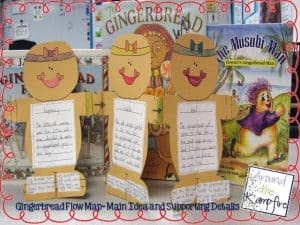 This idea comes from the book Comprehension Connections: Bridges to Strategic Reading . It helps kids learn to decide what is important in their reading. #2. 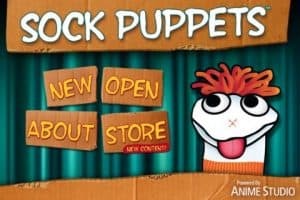 Sock Puppet iPad App – I do not have an iPad in my room yet but I am trying to get one for next year. This app is used with readers theater. The kids record their own readers theater skit. So cool! #3. 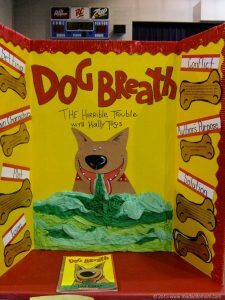 Reading Fair – This is a really creative way of giving the summary of a book. It is like a science fair but with books. Kids make a board telling about their story. #5. 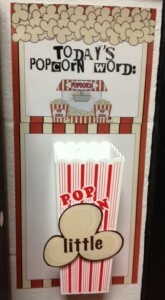 Popcorn Words– This is a fun way to learn sight words. The teacher puts up a new sight word up daily and the kids say the word as they enter and exit the room. She said her class calls them “popcorn words” because they should “pop” in their brain. #6. Venn diagram– Well we all have tried to make the venn diagram more interesting. Why didn’t I think of using paper plates? So simple yet profound. 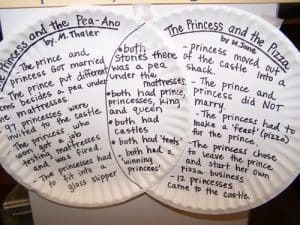 What kids wouldn’t want to write on paper plates? #7. Officer Buckle– This is one of my favorite books to use at the beginning of the year. 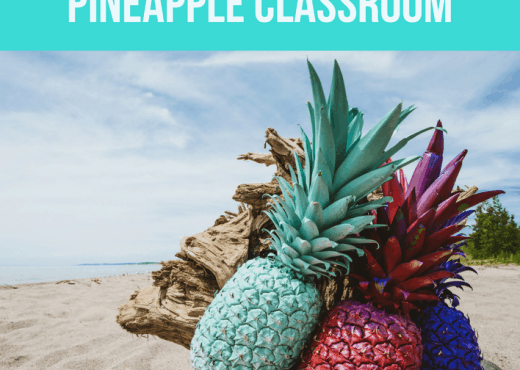 This blog gives so many ideas that you can do with this book. 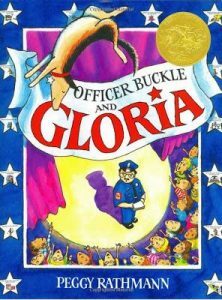 She lists different reading skills and strategies that can be done with Officer Buckle and Gloria. The Picture Book Teacher’s Edition also has other great books on her blog that she does the same thing with. #8. 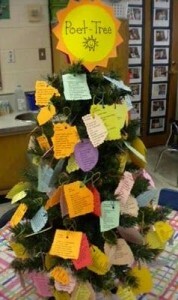 Poet Tree – I just found this pin and thought is was brilliant. I really struggle with teaching poetry. It is just such a tough concept to teach to 2nd graders. I think this will be a fun way to celebrate poetry. #9. 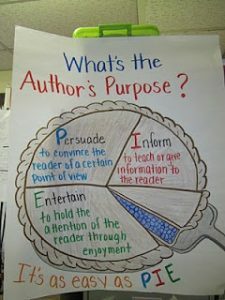 Author’s Purpose – This has been one of my favorite pins. We use anchor charts a lot in my classroom. This was one of the first anchor charts I made for my class. We used it many times throughout the year. I had to add an extra E to PIE because our district added express but it still worked well. This is an image only. #10. 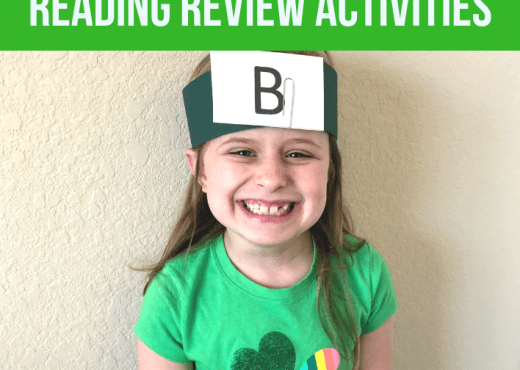 Book Tasting– This is such an awesome idea! I can’t wait to try this at the beginning of the year. 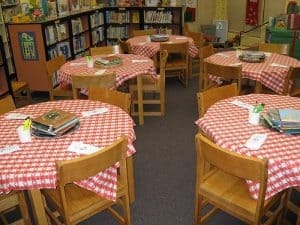 This is great for kids to go from table to table and look at the books and fill out a “book tasting menu”. I have already talked to our school librarian (who is a wonderful friend of mine) to do this with our school. 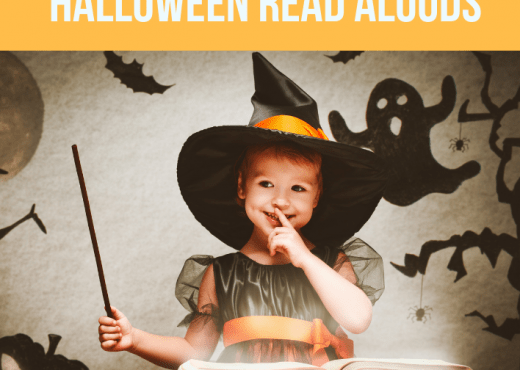 I hope you find some new and fun ideas for reading! Go by Just Reed to see some other reading pins. Which one of these do you think you would like to do? Let me know in the comments below.